Sen. Elizabeth Warren (D-Massachusetts), getting pushback from her progressive supporters, is defending her decision to vote for Ben Carson for secretary of housing and urban development. 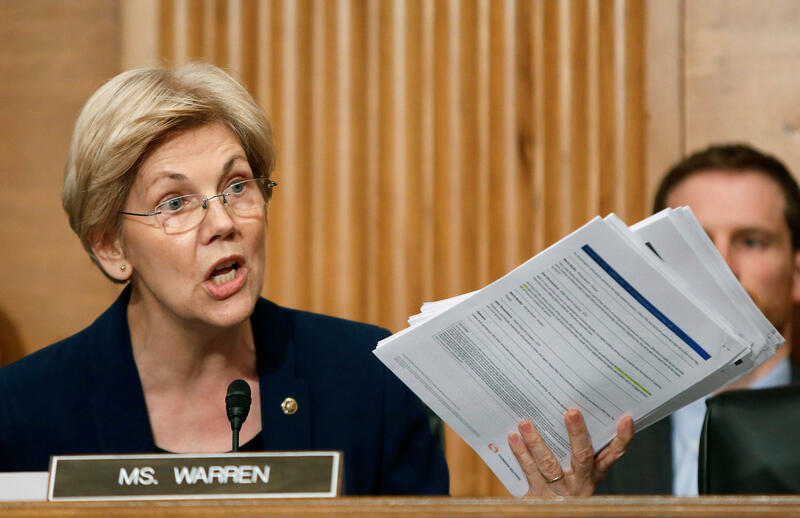 “The nominee I wanted,” Warren continued, “is not the test” when it comes to approving Mr. Trump’s nominees. During Carson’s confirmation hearing, Warren had a heated exchange with the nominee over whether he would ensure that HUD does not help enrich President Donald Trump and his family. However, when the Senate Banking, Housing and Urban Affairs Committee voted on Carson’s nomination, Warren voted to recommend him. Carson’s nomination will now be voted on by the full Senate. Warren said she sent Carson a nine-page letter with a series of detailed questions on various aspects of the HUD secretary’s job, and that while his answers weren’t “perfect” he made “good, detailed promises” to her about what he’ll do in the job. She added that she will be the first one to criticize Carson if he doesn’t follow through on what he’s promised to do at the agency.